"The Year of the Finished Quilts"
Good Morning! Days like today are just PERFECT for a day in the sewing room, don't you agree? Goal: To get as many UFO's as possible done! The respect of all your quilting "Sistahs"
The Thrill of Having all of those UFO's DONE! WANT TO PLAY? Stop by the shop for your registration form and a complete set of rules. Bring your "pieces parts" and $5 registration fee and let's GET STUFF DONE! Here's some awesome ways to get a leg up with some "mini" Classes for quick projects to bulk your points quickly! Your $16.99 kit includes: Pattern, hardware, fabric, fusible fleece, coordinating fabric, zipper, extra zipper pull...enough for TWO Fobios! Love the look of multiple colored pulls? We'll have extra pulls available to decorate up your Fobio, and enough hardware and zippers to make one for everyone you know! This also uses the "half a zipper" technique. I'm holding it in my hand to give you an idea of size. How many uses could you think of for this? 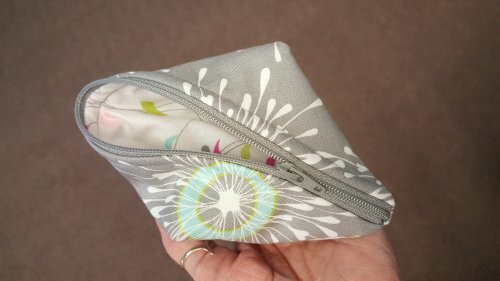 It could be attached to your Fobio, OR, how about holding sewing supplies (those Wonder Clips that end up in the bottom of your bag, for instance, or a pouch for needles). Your $16.99 kit includes: Pattern, Coordinating fabric for outside and lining, fusible fleece, zipper and extra pull, enough for TWO peapods! 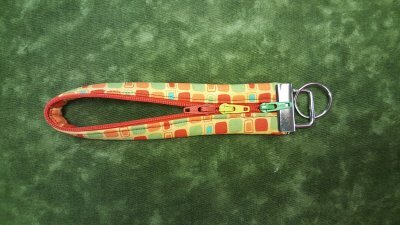 An "EXTRA ADDED BONUS" of taking either of these classes: Once you get the zipper technique down, you'll be able to fix broken zippers! What a great summertime project! 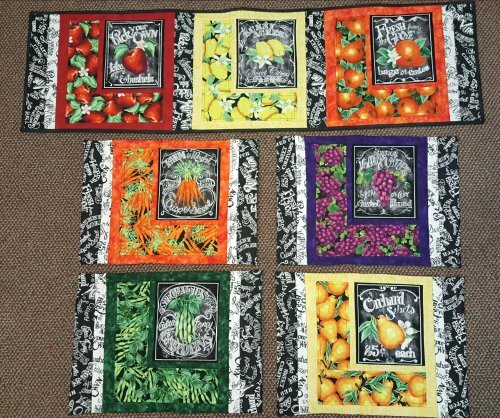 Made with a panel, and with minimal quilting that can be done on your home machine, these placemats and runner will be a joy to use on your patio or in your home. Only the runner has actual "binding", the placemats are made using an "envelope technique" for ease and speed. No pictures here! Come in your most outrageous outfit to win a prize! Quilt until you Wilt! Are you competing in the UFO challenge? Get a leg up and GET DONE a pile of projects. No more waiting..get those tops DONE and out of the stack! 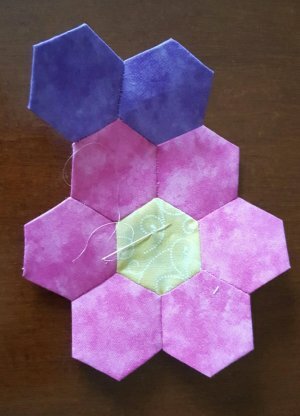 QUILTING 101 Returns in June! 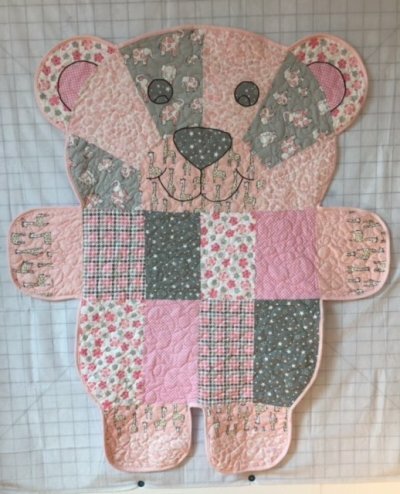 This class if for absolute beginners, those who have been quilting for awhile and aren't getting the results they want, and those who are trying to clean up "dirty habits". 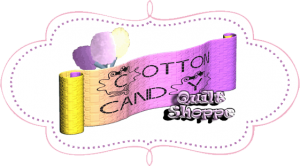 Get that "Quilt Magic" that makes your quilts SENSATIONAL! There's LOTS more events on the calendar! Just click on the website, then "Calendar" for everything that's happening at the shop! with the changeover in computer systems, we want to make sure we have everyone who should be included on the list, so if you are an "OFFICIAL PINK BAG LADY" and you don't receive a SPECIAL notice from us by tomorrow night, please call the shop on Tuesday! THANK YOU! HEY! Look what Margot made out of those sweet flannels we recently received!! Kelly Griese, Investor Education Coordinator for The Attorney General. She will talk about fraud.